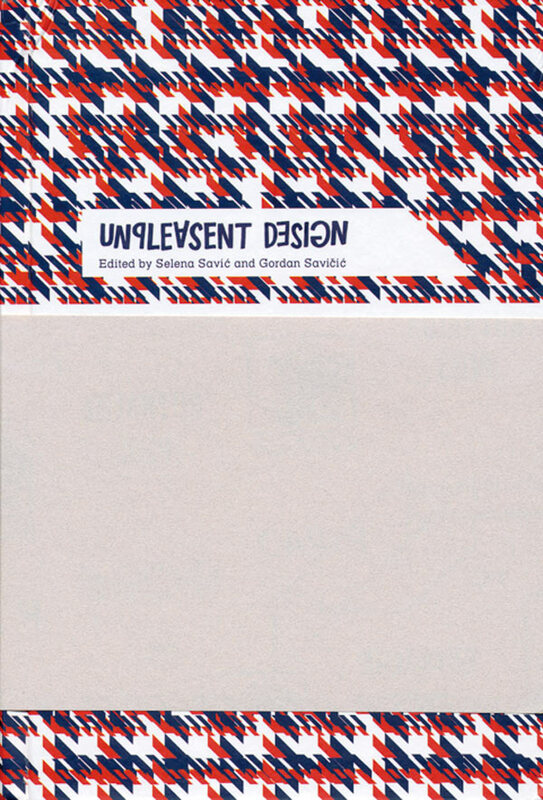 Unpleasant Design, published by G.L.O.R.I.A. 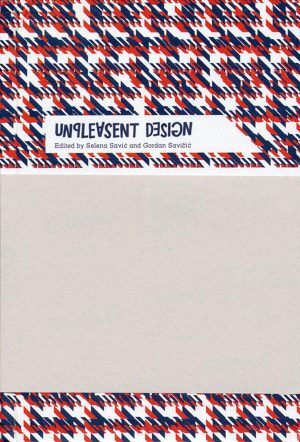 Gordan Savičić and Selena Savić, co-editors of the book Unpleasant Design, are quick to point out that unpleasant designs are not failed designs, but rather successful ones in the sense that they deter certain activities by design. 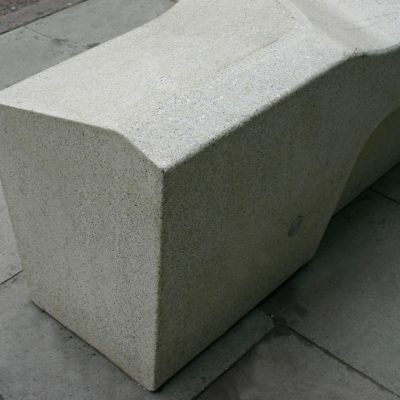 A bench which fails to be comfortable and flexible, for example, can still be a successful design … if the designer intends for it to be an uncomfortable place to spend long periods of time. 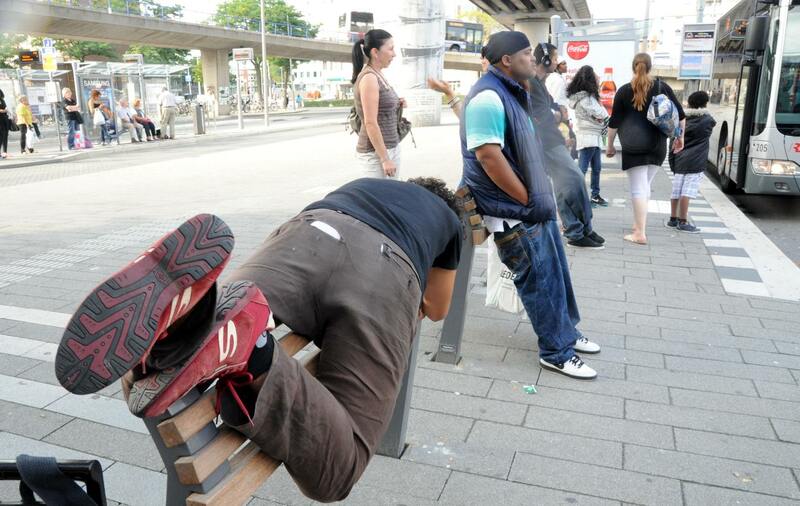 A number of such strategies are aimed loitering teens, and many of these are less physical or obvious than an uncomfortable bench. Some businesses play classical music as a deterrent, on the theory that kids don’t want to hang out or talk over it. Other sound-based strategies include the use of high-frequency sonic buzz generators meant to be audible only to young people. 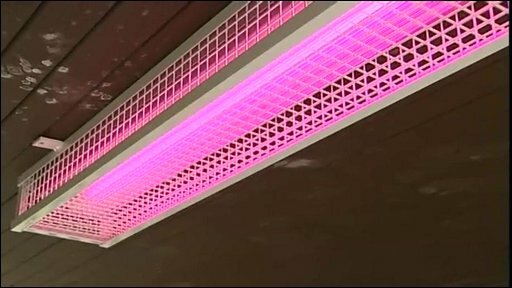 Housing estates in the UK have also put up pink lighting, aimed to highlight teenage blemishes. In many cases, there is little data to show how well these more unconventional strategies actually work. 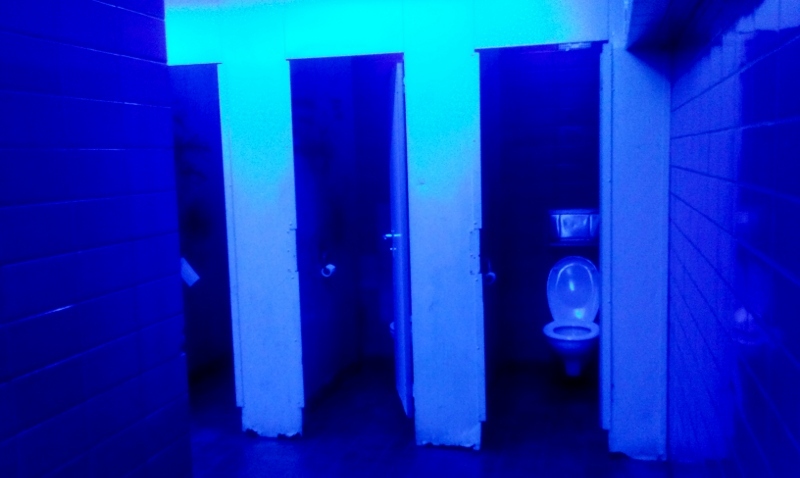 At the other end of the spectrum, blue lighting has been used in public restrooms to deter intravenous drug users; the color makes it harder for people to locate their veins. Public street crime declined in Glasgow, Scotland following the installation of blue street lights, but it’s difficult to attribute this effect to the new lighting. Blue may have calming effects or may simply (in contrast to yellow) create an unusual atmosphere in which people are uncomfortable acting out. Though questions remain about causality versus correlation in this case, Tokyo, Japan has since piloted a similar blue-light program, hoping to reduce suicides in subway stations. 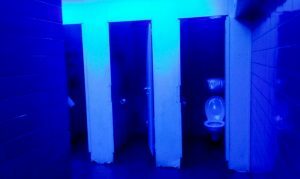 The use of lighting as a means of public control may be much older than these color-specific interventions. According to Selena Savić, when Austria-Hungary annexed Bosnia the government installed unpleasantly bright street lamps in Višegrad. Their goal was to deter nighttime gatherings that could lead to resistance or rebellion. The locals, displeased with these lights, would break the lamps at night, and the government would reinstall them the next day. 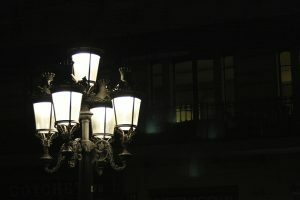 A similar phenomenon (of street lights as social control) dates back even further in Paris, France. 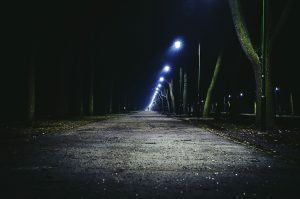 Today, we have since become so habituated to public lighting that our primary association with street lights is that they deter criminal activity and make us feel safe. 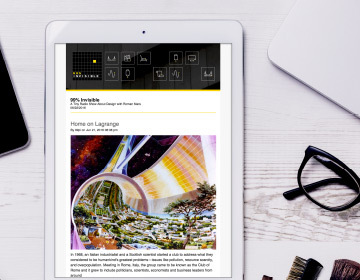 Except for those who lament the lack of stars in the night sky or live in apartments next to a too-bright bulb, one might never consider the possibility that street lighting might be unpleasant. This is part of the point of the Unpleasant Design project and book: to bring these rarely-noticed phenomenon to light, so to speak. While some examples are more invisible, or at least intangible, other hostile architectural interventions are more physical and overt. 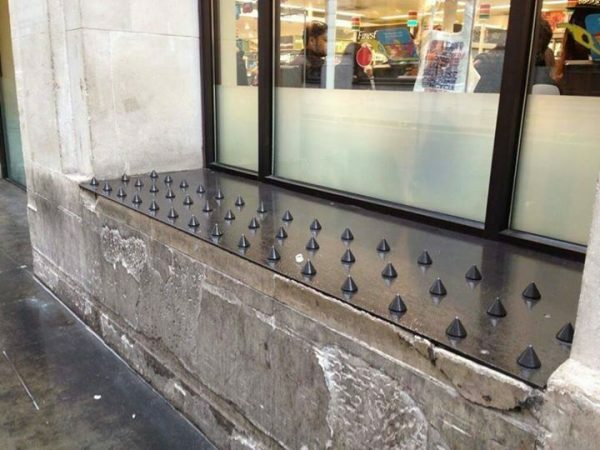 Concrete or metal spikes are used to keep people from urinating in dark city corners, while others are aimed at stopping people from sleeping on the streets. 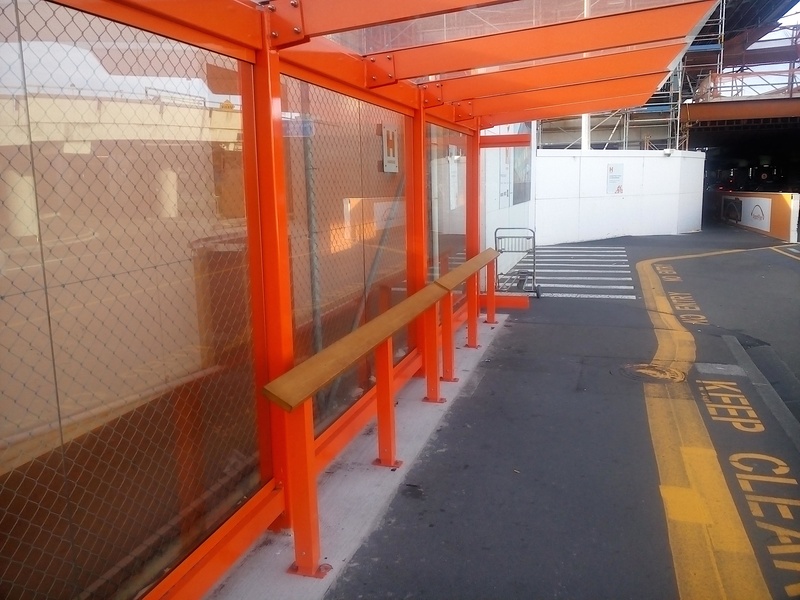 One major problem of the spikes (and all the unpleasant designs that curb undesired behavior) is that, unlike interactions with security guards or police officers, these physical features are non-negotiable. Their permanence is definitive and uncompromising, baked into the built environment in a way that is hard to argue against or reverse. 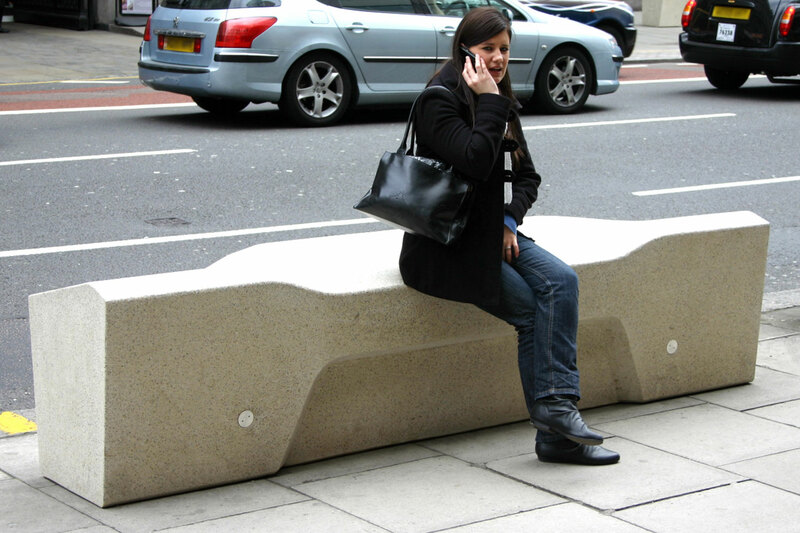 Spikes aside, street furniture is one of the most common subjects of unpleasant design critiques. The limitations built into urban objects restrict activities, denying a potentially complex range of uses and interactions. 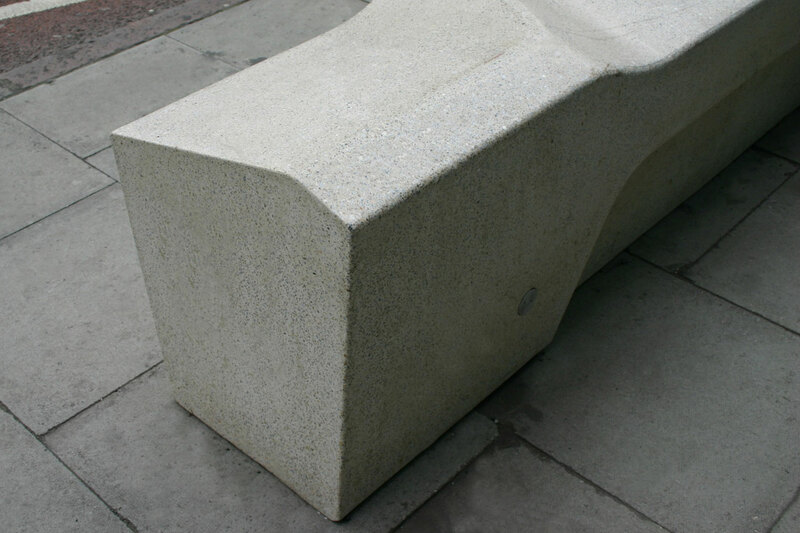 Beyond dividers and armrests, some benches are mounted so high that a sitter’s feet will not reach the ground, making them uncomfortable after a short period. In other cases, shared seats are barely benches at all, just slim slats to stand and rest against. 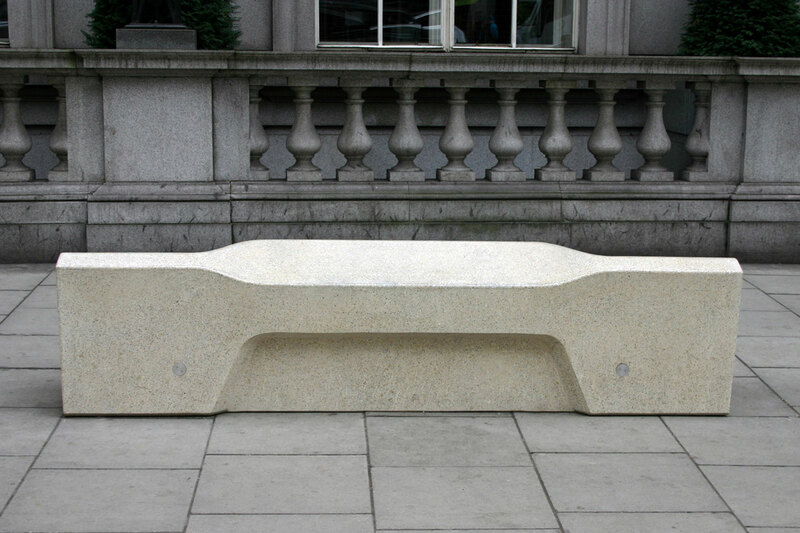 Of all these bench designs, there is one masterpiece in particular that stands out from the crowd. 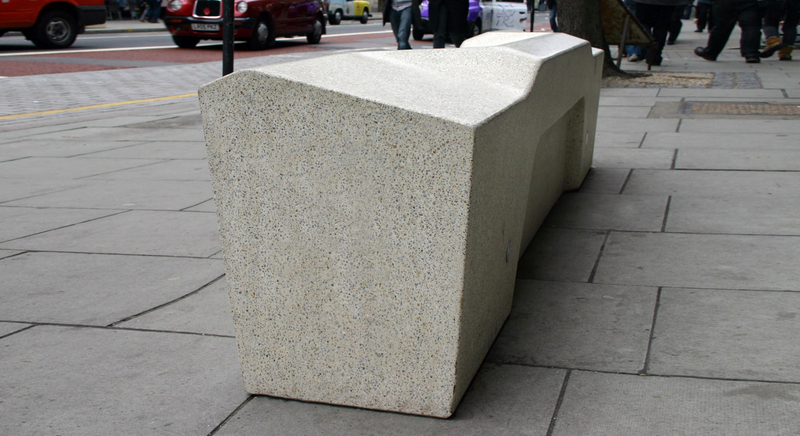 The Camden Bench is a highly refined work of unpleasant design, impervious to essentially anything but sitting. 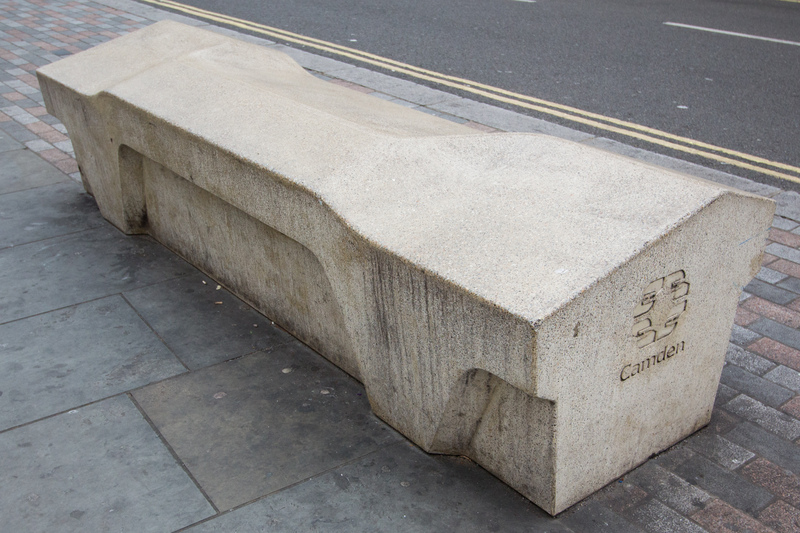 The Camden Bench is virtually impossible to sleep on. It is anti-dealer and anti-litter because it features no slots or crevices in which to stash drugs or into which trash could slip. It is anti-theft because the recesses near the ground allow people to store bags behind their legs and away from would be criminals. It is anti-skateboard because the edges on the bench fluctuate in height to make grinding difficult. It is anti-graffiti because it has a special coating to repel paint. Most of these goals seem noble, but the overall effect is somewhat demoralizing, and follows a potentially dangerous logic with respect to designing for public spaces. When design solutions address the symptoms of a problem (like sleeping outside in public) rather than the cause of the problem (like the myriad societal shortcomings that lead to homelessness), that problem is simply pushed down the street. 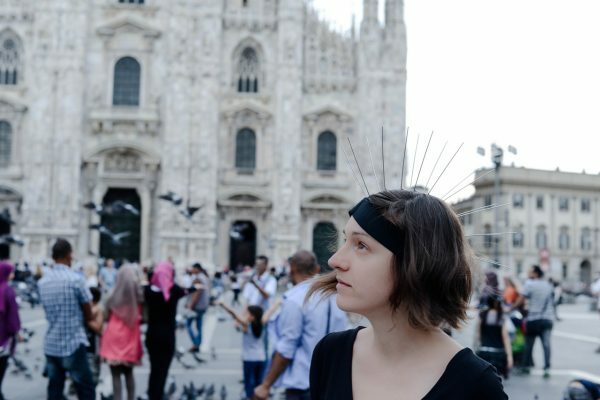 Spikes beget spikes, and targeted individuals are simply moved around … in much the same way that pigeon deterrents shuffle birds from block to block without reducing their overall numbers in a city. Meanwhile, some guerrilla efforts have been made to fight back against unpleasant designs. Artist Sarah Ross, for instance, created a set of “archisuits” designed to work in and around specific deterrents. 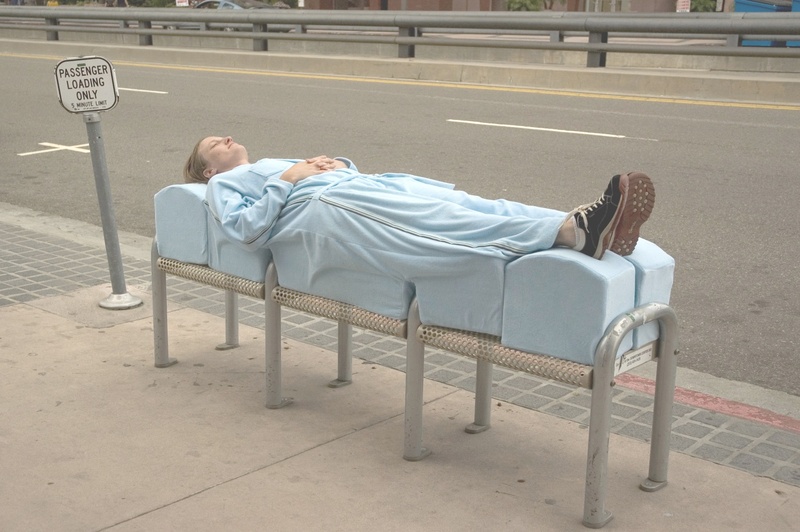 In one such suit, pads with gaps let the wearer sleep on segmented benches. 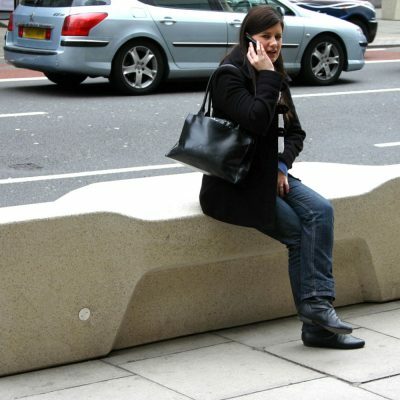 Softwalks has developed a series of attachable city seats and tables that clamp onto scaffolding and other urban posts or poles. 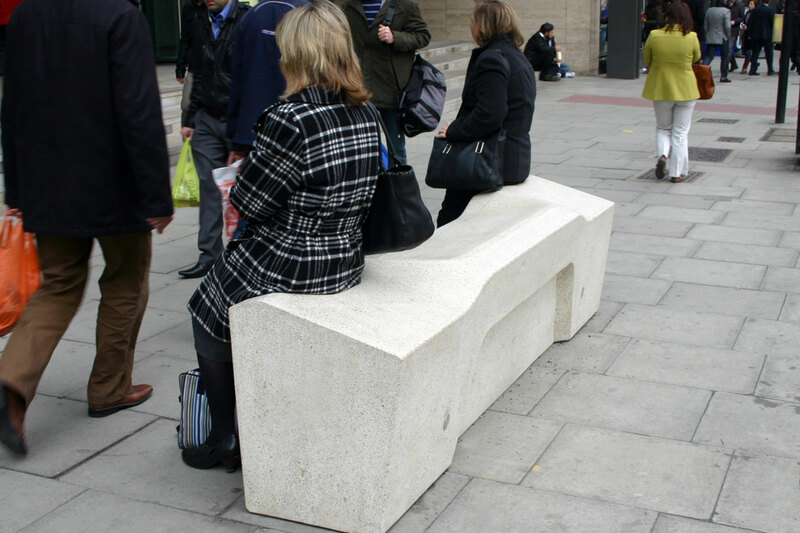 Their modular on-demand street furniture is in part practical but also makes a statement about hostility and voids and built environments. Whether handed down by the establishment or created in response to official interventions, there is always an aspect of coercion to design. 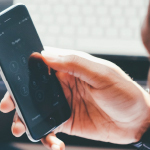 Usability design, for instance, is used to get people to buy things and use their smartphones in certain ways, often without the user even being aware of it. 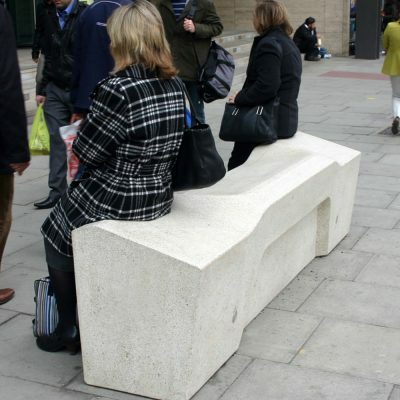 Fundamentally, works of unpleasant design, hostile architecture and street furniture in general are no different. The reason we need a critical theory of unpleasant design is so we can recognize the coercion that is taking place in our public spaces. We need to know when we are replacing human interaction, nuance and empathy with hard, physical and non-negotiable solutions. Whether you think a certain form of design is exclusionary but serves a greater good, or believe it is just hostile and offensive, it is important to be aware of the decisions that are being made for you. Designs that are unpleasant to some are put into place to make things more pleasant for others, and that latter category might just include you. 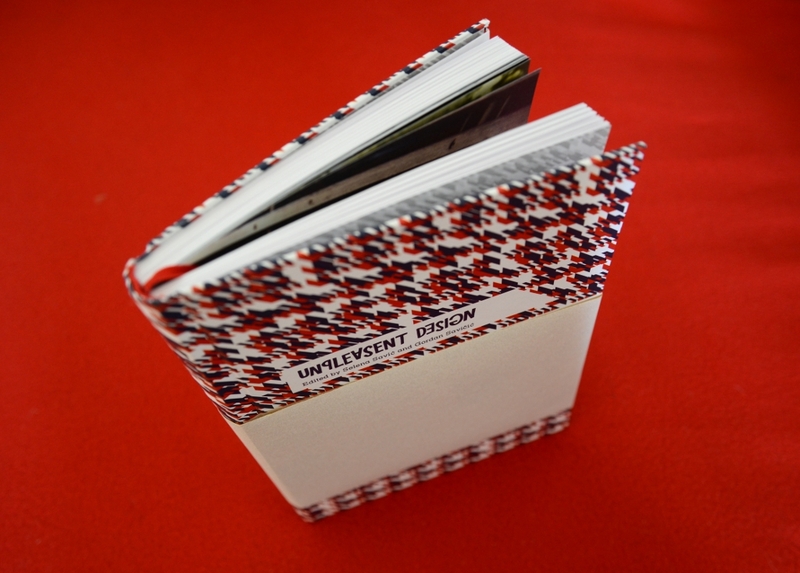 Host and producer Roman Mars spoke with Selena Savić, co-editor of the book Unpleasant Design. The ‘mosquito noise’ was attempted at one of the exit of the Utrecht Central Station in the Netherlands. Young people used to coalesce there and the noise was installed there to deter them. I was already too old to be bothered by it, but someone sued the city and won. It was considered illegal to systematically bother one portion of the population without prejudice. Yeah, I too was thinking about stores and so that play sounds, which teens can hear, but older people cannot. It’s a bit passive aggressive, when you just don’t want teenagers near your store. This was a great episode. 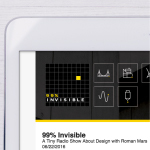 Design is a far greater influence on people’s behavior than most people realize, from the design of objects and products to retail store layouts and the rooms your house has and the way your neighborhood and city are constructed. Whether the design is purposefully unpleasant or just stuck that way due to social norms or momentum or specifically constructed to sell more stuff, the average person gets very little say in it even though it completely shapes our lives. I’d love for you to examine this topic some more. Is the book sold out? I’m definitely trying to buy a copy. The city of Yonkers, NY just installed huge speakers playing classical music in the park closest to my house this week! 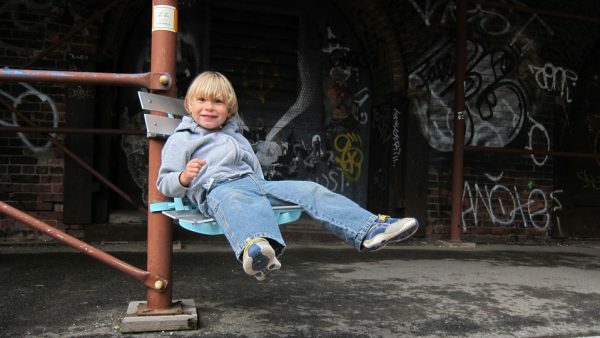 It is a safe area in otherwise rough industrial surroundings where kids like to hang out and skateboard. I walk through that park every day, but the kids have never bothered me. They are respectful and don’t skate when people are walking through. The music, on the other hand, bothers me. It is so loud that I hear it over the podcast playing in my headphones. The city of San Diego installed a “rock garden” to deter homeless people from sleeping underneath a huge freeway overpass. At first, the city said it was at the wishes of the local residents but details emerged it was actually for the upcoming All-star game. It’s sad really, there’s a lot of ways the city is trying to criminalize homelessness. I hope someday some “archisuits” are made for these rocks so the unfortunate people have a dry place to stay. Thanks for the post, I thoroughly enjoyed reading all the different ways in which societies incorporate hostility into their public designs. An example of perhaps unintentional hostile design: bleachers at ball parks made of extruded aluminum instead of the traditional wood planks. Note that extruded aluminum is universally used in electronics as a heat sink, designed to carry away as much heat as possible as fast as possible. Sit on one of these on a chilly day, and your body will very quickly be drained of heat. Wood doesn’t conduct heat well, so it’s much more behind-friendly. Aluminum doesn’t rot or rust or need painting, so I’m sure it makes sense from a maintenance cost standpoint. But there ought to be some way to mitigate the heat-sinking effect! Quite obviously, the point of this is so that we don’t have to see, care about, or think about the homeless, driving them even farther out of sight and out of view. Because that’s an unpleasant problem; how dare they even have a right to exist, really? They don’t fit into our society and thus we should deny them even the right to sleep on our public property. The sacrifice though, is that in exchange, we have to deal with these ugly eyesores of benches, the spikes, all reminding us of what it is *not* to be human. What it is to care more for zoo animals, like the gorilla that was shot and killed in Cleveland Zoo, and who provoked more angry outrage than a homeless person and his or her death will ever do. When I was young, my mother used to lock me out of our childhood home because she was angry with me because I was bisexual. This rendered me homeless for long stretches of time. I was 12 years old. 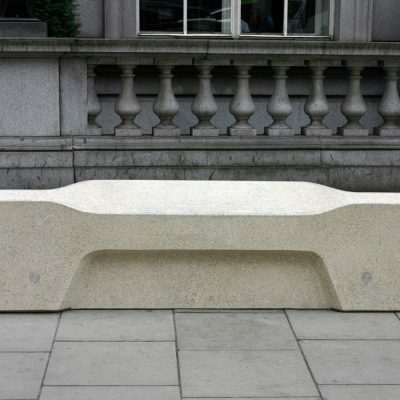 This was back in the 1990s, long before such hostile architecture was in place. I lived very far from the city, in suburbia, but I could make it to the local gas station; and by walking a long way, I could make it to the local mall. I’m now disabled permanently, and the taxpayers pay to support me and most likely will do so for the rest of my life. It’s unfortunate that taxpayers don’t understand that a consequence of this heartless and cruel practice which contributes to abuse like that which my mother committed on me, and which society increases by not even allowing a child who’s been kicked out of home to even *sit down* if locked out and discriminated against for his or her sexual orienation, that makes society complicit in the abuse. And if the person dies, it makes society complicit in the death as well. Cities need to invest in basic services for displaced people. Shelters, bathrooms, showers, laundry, employment services. They would no longer have a “homeless problem”. In industrial sites people are also surrounded with unpleasant designs. There are even checklists and manuals for that. 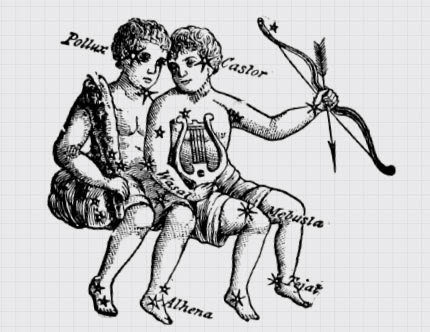 The difference is that the purpose is not so hidden. So all the people so upset that a store owner didn’t want homeless people sleeping in front of his store, are they offering their own homes for the homeless to sleep in? If you’re not willing to offer up your own property, what gives you the right to offer up someone else’s? I was thinking the same thing. Today it’s not possible for a parent to stay at home to raise their kids, so teens go unsupervised. If society doesn’t want that, then society needs to find some long term solutions… like a living wage that allows one parent to remain at home, shorter work days or after school activities for the teens to grow from. In the short term I don’t vilify a shop owner from protecting their livelihood -they’ve been put in a situation they have no control over. Years back I bought a house open to a busy street. At first I was like, “I want to leave my yard open to others… my stairs available to people needing a place to rest.” Several years later I installed a fence and gate because I tired of coming home to garbage on the steps (including lit cigarettes), urine stains on the house and multi-species feces in the yard. To some commenting I’m the jerk… thus I worry for our future. Very interesting. It’s also not just the homeless and the “unpleasant” groups these designs deter – it’s also the elderly and the less able-bodied of us. I was thinking of a walk I took with my grandma in the city and how all along the way there were so very few comfortable resting spots for her. I was at MIT Architecture School in the late 60’s While there the Institute maintenance department decided to address the pigeons in the Massachusetts Avenue major entry architrave problem by putting strobe lights up there. Clearly an MIT-solution. You could only see the flashing if you looked straight up. No light spilled below. There was an almost imperceptible “click” when the light flashed. Of course with the lights constantly flashing the lamps had to be replaced. This went on successfully for over a year until some of us notice that the click was still there but no flashing. The rumor was that maintenance had forgotten to replace the lamps and noticed that the the pigeons didn’t return and figured that it was the clicking that kept them away. In the early 70’s the Woodfield Mall was constructed in Schaumburg Illinois. I noticed such flashing lights in the common areas of the Mall and asked a coworker, a pretty smart guy and he told me that they were installed to keep shoppers moving through those areas and to not congregate where there was no retail stores. It made sense at the time. There may have been a bird problem, but I would think the designers were focused on generating revenue before worrying about some birds. I just visited Liverpool, England – the home of The Beatles and think I witnessed unpleasant design gone wrong. Classical music and a uniformed security guard – at McDonalds in the city centre. I would have thought that would repel most of their key demographic. The dynamics leading to homelessness, crime, and drug addiction are societal issues dealt best in a national scale, and with a cohesive long-term, multi-faceted plan. In the meantime, how should localities design their public spaces? Look at McCoppin Hub in San Francisco for an example of best intentions leading now to a fence around the public space. Ironically, maybe it would have been more open to more people with an aggressive design. 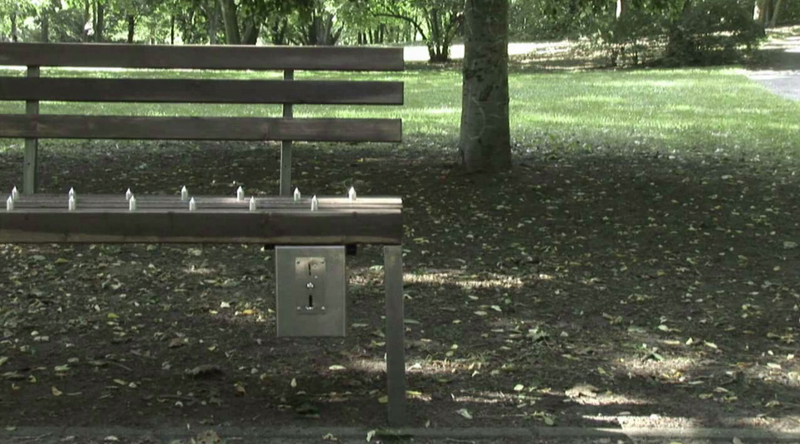 A bench designed to repel purse-snatchers? Oh dear.